expressionist Hans Hoffman. 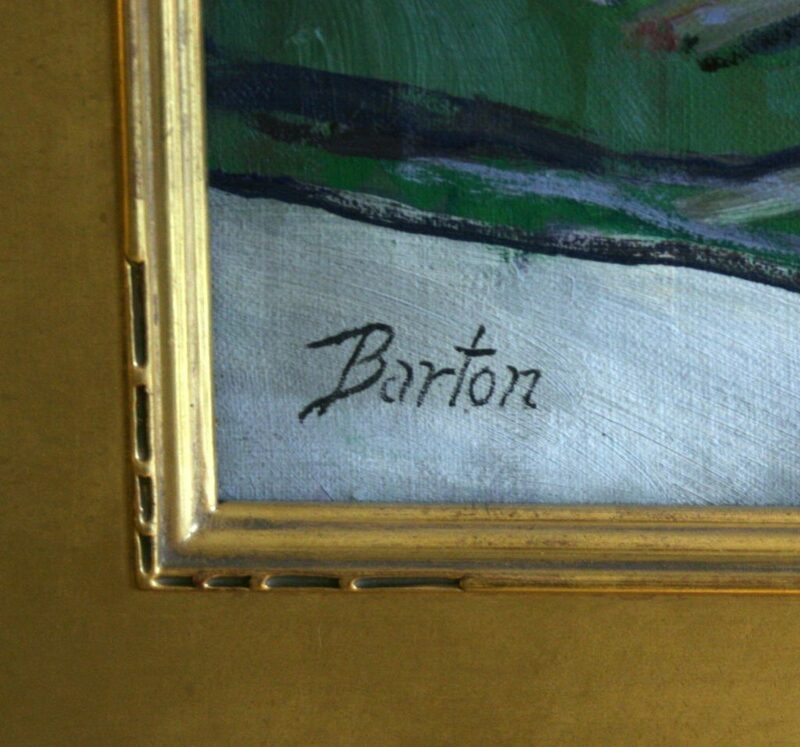 It was during these years that Barton developed his own personal impressionistic style. Upon his return to the United States, Barton shared a studio in Gloucester Massachusetts with Samuel F. Hershey, the famous Rockport marine painter. During this period, Barton developed his talent for rendering impressionistic seascapes and nautical scenes. Proficient in both watercolor and oil, Barton produced over 100 works at this time. By 1929, Barton turned his attentions to photography and was hired as a portrait photographer for Fabian Bachrach of Boston. 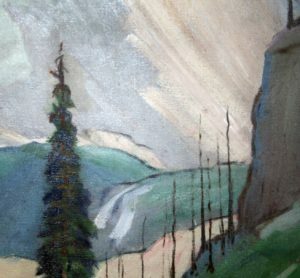 Barton often used his photographs as models for his sketches and paintings. In 1932 he opened his own photographic studio in Fitchburg but still continued painting on the side. Out of economic necessity, Barton’s career shifted in the late 1930’s to hospital work. He attended Nurse Gardner State Hospital School and became a certified therapist. He worked in the mental health division as an occupational therapist and taught art classes there until his retirement in 1970. Barton had not painted since the 1930’s, but in 1987 was happily rediscovered by a friend who promoted a retrospective of his works at the Walker Gallery in Boston. This oil on canvas is signed in the lower left hand corner and was acquired from the estate of Donald Barton. 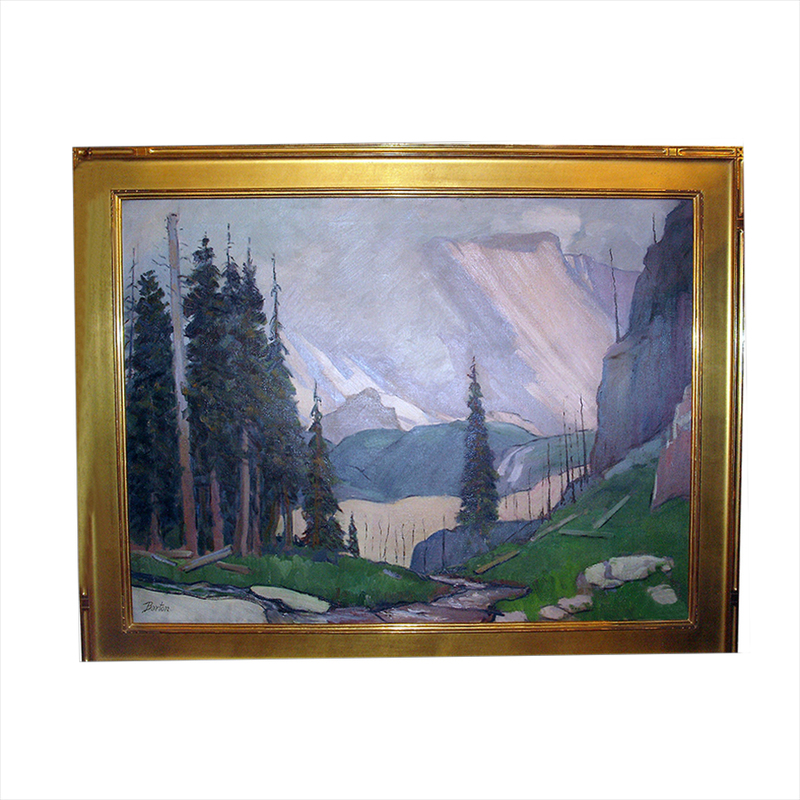 CONDITION: This painting has been cleaned, lined and backed and is framed in a new 22 karat gold custom frame.